Tomorrow is the Theme day at Daily City Blogs. So I went to the old parts of Prague to take some pictures. 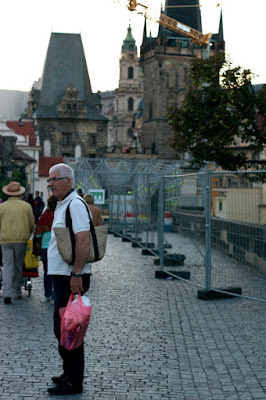 I ended up at Charles bridge and took this picture so you can see how the Great Charles bridge reconstruction began. From the west gate. Still lot of tourists.